Return to viewing the other Peoria AZ new homes at this new home community. When searching for a new home for sale in Arizona, you are going to want to make sure you take a look at the Essex model that Maracay Homes builds at their Cresecentviews development. The development is located in the north part of Peoria Arizona near Jomax and 67th Avenue. The Essex model is also part of the flex design program that Maracay has. 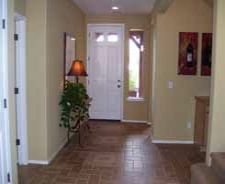 You could design this new home for sale in Arizona to have two master bedrooms, or up to five bedrooms if you wanted. Be aware this is a patio home, so there is very little back yard, but it is perfect if you are looking for a low maintenance option. 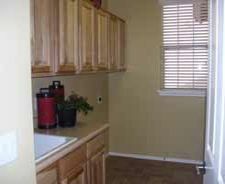 Please take a look at the Essex floorplan. I also uploaded a virtual tour virtual tour of this home. 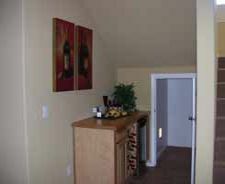 It is great to view since you will see what the inside of the home is like. I do apologize though. There is music in the virtual tour that I can not turn off. 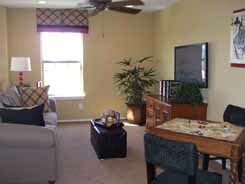 The base model has four bedrooms with master bedroom downstairs, a great room, dining room, and a loft. 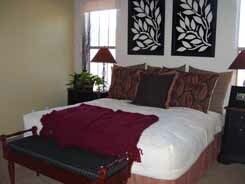 There are options to add an additional bedroom in place of the loft, or remove a bedroom and replace with a den. The home starts at approximately $258,000 at the time I wrote this. 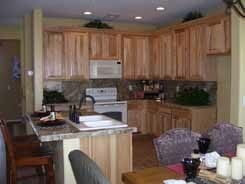 Whenever I tour model homes I take photos and upload them here so that you can view them as well. Normally I make all the pictures clickable so you can view larger photos, but I figured you would likely spend more time viewing the virtual tour so I am saving website space with these photos. 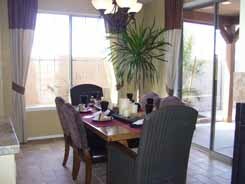 The layout of the floor plan in this new home for sale in Arizona works really well. I normally don't like dining rooms, but this home has an open dining area which makes it really feel like it is part of the kitchen and living area, not walled off from the rest of the home. I really can't find many faults in this home except that they might have been able to do a better job with the space under the staircase. It is too small to be really usable, but too large to ignore. You'll have to find some decoration or furniture to take up the space. Other than that I think this is a great home. Follow this link if you would like view the other new home for sale in Arizona at this development. If you are ready to go visit this community please give me a call. I'll meet you at my office and we can drive out together.